Welcome to a new Craftastic Monday! I've got some fun new stuff & another birthday project to show you this week, so it should be a fun one. Speaking of birthday projects....Got any fun birthday crafts or want to find some? The Craftastic Birthday Link Party is going on all August long. Click on the button below or the Birthday tab at the top of the blog to check it out. Be sure to grab the special party button to spread the word about it! At last week's Craftastic Monday I set the goal to try for over 100 links and boy did you all deliver! 110 links at last week's party!! And oh my gosh were they good. Seriously, I was blown away with all those projects. It made it super hard just picking a few to show this week! 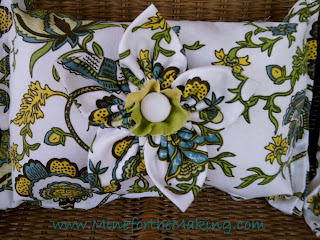 Thank you so much for featuring my pillows :) Getting ready to link up again this week!